Where's the grilled bird at? Grilled chicken. It's one of the simple things so many of us enjoy and because it's so simple, many of us prefer to make it in the backyard with a beer. But not everyone wants to sit outside when it's 20 degrees out. So when the craving comes and you don't have the time or means to grill your own, seek out some of these spots featured in our special here today. This longtime Locals Favorite at the corner of Belmont and Broadway has been around for most of my life. It's a nice place to stop in for lunch when you're in need of something quick and easy. I'm not sure this place has much of anything else on their menu except for maybe a chicken pita or salad or something. It's a spot where they pick an item and do it up well. Because of the busy foot traffic and people that work nearby the Hut seems to always have chickens on the grill during the daytime. The result is a nice modestly seasoned juicy bird more times than not. A 1/2 chicken with choice of potato and a pita will set you back about $7 and you cant beat that. I've always liked their salsa they offer on the side and get extra for dipping my chicken in. This might be my favorite of the places that do simple style grilled chicken. I've been coming here for a while now but never really gave it any love except to say I liked the place when people would ask me about it. What I like is the fact they do a steady lunch crowd so if you're in there during the day you can see all the chicken grilling away fresh for consumption. It's always wonderfully moist and their sides are good too. The chicken pita sandwich packs a punch for the price. 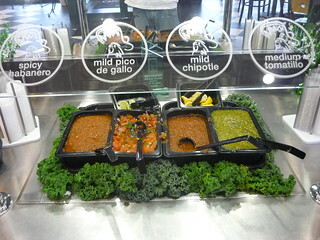 If a nice salad done your way is your idea of a good lunch, they have a nice salad bar with many options. Some folks I know swear by them for catering. When Fuckerberg sings your praises you're doing something right. Check them out. Another place that's been around for ages. 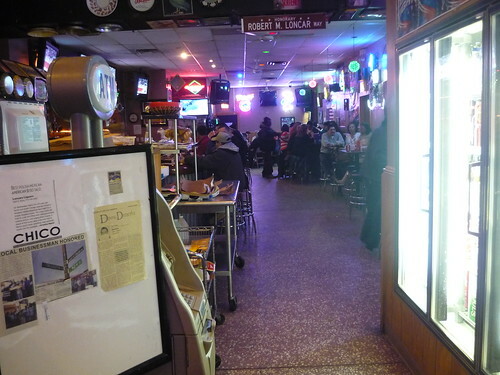 Long before Bucktown and Wicker Park we're hot places to live with lots of good options to eat at, Nick's was slanging grilled chicken on Damen just North of Armitage. I ate here a few times as my buddy lives down the block. However I hadn't been in for a couple years band tried their chicken pita sandwich recently and while it was good it wasn't on par with The Works and Co. I remember liking their grilled bird for a quick fix. 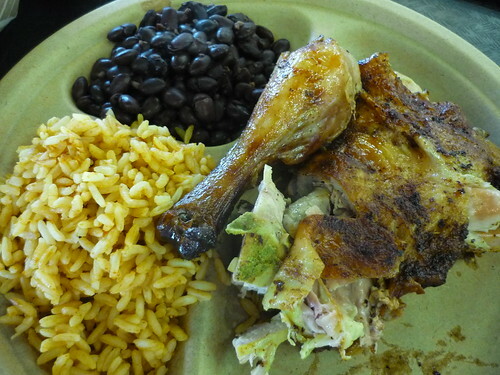 Mexican grilled chicken places are abundant in Chicago. Pollo Express in Pilsen on 18th street might not do much to catch the eye other than the yellow awning but dont pass this place if you're a fan of grilled chicken. This is not only some of the city's best but one of the best deals as far as feeding an army or family can go. Cooked over charcoal on certain days it's buy one whole get a half free. A meal includes chips and a bunch of salsas as well as a package of corn tortillas and some top notch pickled red onions and some really stellar baked beans with little slices of cheap hot dogs in them and rice too. I love the beans. All this makes for some great chicken tacos when you assemble it all together. 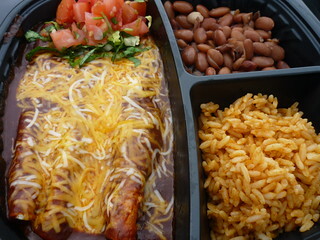 Out in Dupage County there's a popular Fresh-Mex grill in Glen Ellyn called Chicks 'n Salsa. I was first put on to this place by the Hungry Hound and always wanted to try it and got to do so one day when I was passing thru on the highway a while back. They specialize in fire grilled chicken with a Mexican flare and their Baja Style fish tacos were named the best in Chicagoland by Steve Dolinskey and also the Chicago Tribune. When you order a chicken plate you can take a visit to their fresh salsa bar and help yourself to some of the nice offerings they have there. I'm a sucker for Tex-Mex style enchiladas and I thought there red ones with ground beef were a decent representative of what I like. Their chicken is really good too. Of all the places on here it along with Chicken Works produced the crispiest skin I had. 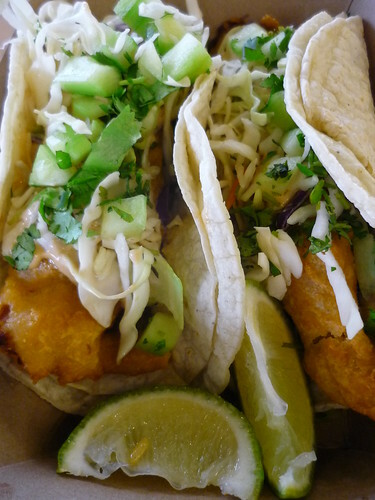 But most people that mention Chicks 'n Salsa will do so when talking about their super popular Baja Style fish tacos. For whatever reason great fish taco options are not abound in the city. 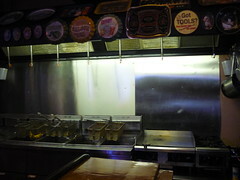 Places like Big Star leave little pieces of pre-fried fish sitting on display and others mess it up one way or another. But these are near perfect making me wish they were somewhat close to the city quite often. I've never been to San Diego but those that have who were with me said these were comparable with the exception of the ocean being in sight. I'm a sucker for countries outside of China's take on their cuisine. I had a series of days I had to be out in no mans land right around when people started talking about Indian-Chinese food over at LTH. It got me interested in trying some Indo-Chinese so I took advantage out of being punished with having to be all the way out in da burbs for a few days. 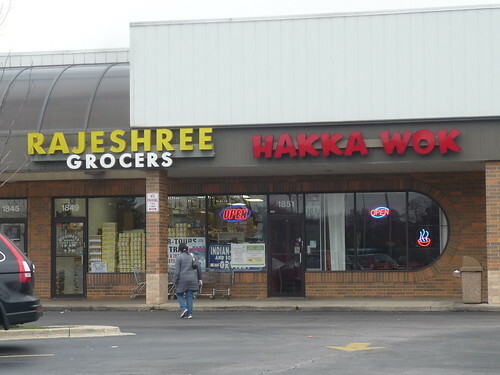 Actually many suburbs like Schaumburg have become culinary destinations for the different ethnic cuisines you can find in the strip malls. If you sniff around you can find some amazing places doing things you cant get in the city. Example HERE. Hakka Wok has a little bit of their story on how these two cuisines became meshed into one on their website There's also a little bit of the chefs history who was a second-generation Chinese Indian born in Calcutta. After moving from there to here he worked at the now defunct Hot Wok Village. 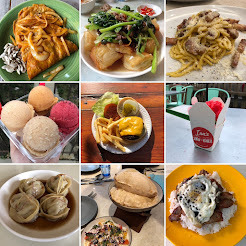 I did a little bit of web wandering as to the popular dishes of this particular Chinese fusion and got an idea of what to order when I tried it. 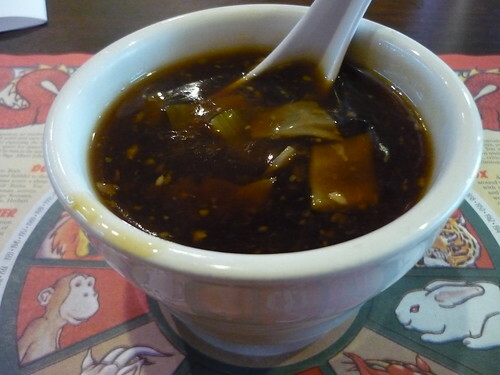 The Manchow soup was similar in texture to Hot and Sour but not as good. Spicy but just bits of celery and some cabbage to be found. 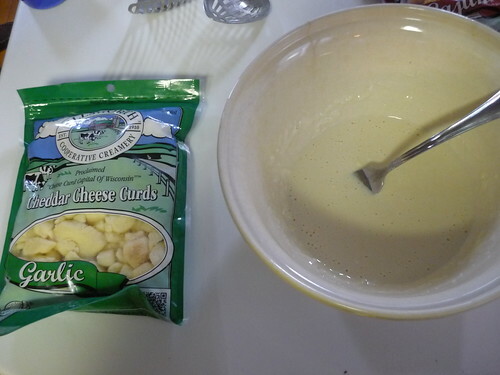 Also, I'm not a huge fan of gloppy soups like these. Somewhere I read that many of the dishes of the actual Hakka people of China are different sorts of minced meat or veggie balls. That part of the peoples cuisine caught on in Indian-Chinese. 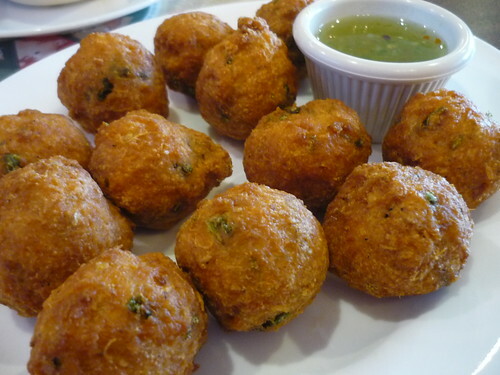 Pakora are ground balls of fish, shrimp or chicken which are mixed with cilantro and other herbs and seasoned then fried. The homemade dipping sauce is a really tasty blend of garlic, cilantro and other things I'm sure they didn't mention when I asked what it was. I liked these. One of the signature and most popular dishes here is their Bhazzia with Manchurian gravy. Bhazzia being minced vegetable fritters which are covered in gravy. The gravy was thick and spicy with lots of cilantro, green onion and hints of garlic mixed in. I'm a meat eater but somewhat enjoyed this veg-head dish. I mixed it all together with the white rice and it was pretty comforting on a chilly day. The other two most popular Indian Chinese dishes I saw were Manchurian and Chili chicken. Hakka Wok has lunch specials M-F until 3p and they include soup, choice of rice and a veggie fried spring roll. I tried both since 2 of my visits were with somebody else. I liked the Manchurian chicken which Wikipedia says is entirely a creation of Chinese restaurants in India. It also says it comes with veggies but not Hakka's version. 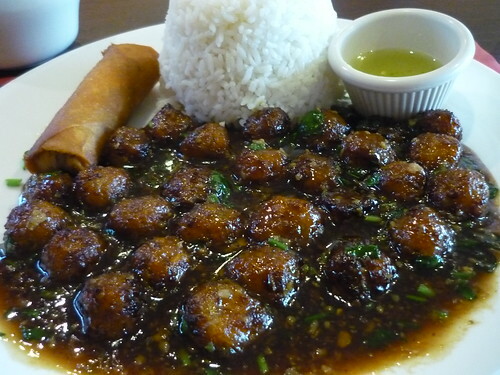 Looking at this dish on the WWW it looked like Orange Chicken and in some cases it came swimming in gravy. Its offered wet or dry. 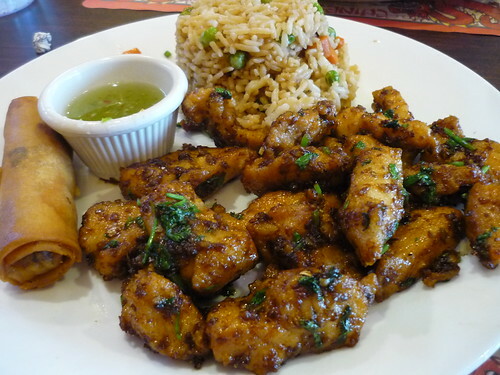 I got it dry and enjoyed the popular Indian dish of chicken with chopped garlic, ginger, and green chilis with soy sauce replacing the garam masala. The veggie fried rice was just ok but the smell and looks of their burnt garlic fried rice were nice. 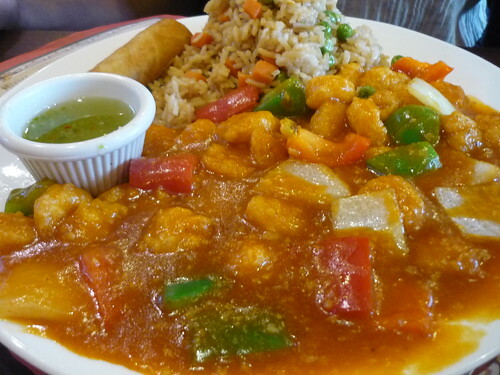 They also offer the popular non meat eaters favorite gobi (fried cauliflower) Manchurian. 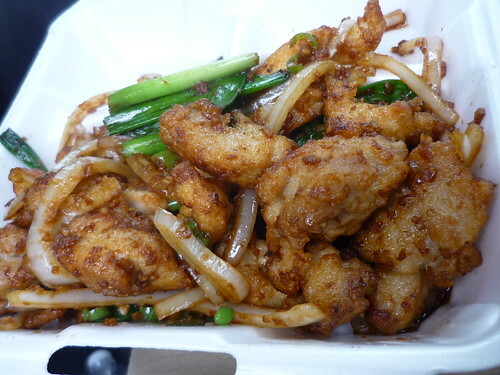 Like Manchurian Chicken, chilli chicken recipes and looks differ depending on where you go. I didn't notice any particular Indian spices in this dish which also like the Manchurian has a little bit of an American-Chinese feel. But I did enjoy it (dry) as I do other guilty eating American-Chinese dishes. They brought the heat with both of the chicken dishes and I enjoyed dumping the green sauce offered with each lunch special on top of the chicken. However I would stay away from the non Indo-Chinese selections based off an order of Schezwan shrimp. All in all, not worth riding out of the way for like nearby Santouka is, but it might be a stop I'd make again if I was ever in the area. 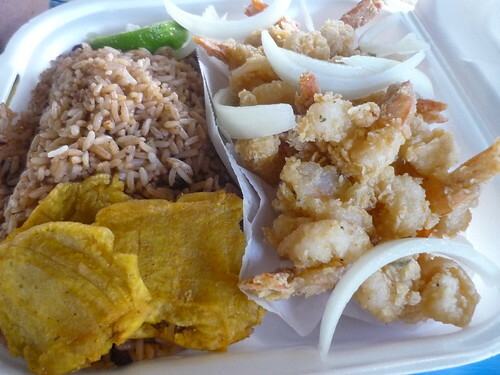 I still like Caribbean Chinese more. Still never tried Canadian Chinese cuisine though. Any other fun ones? I realize it's been a long time between visits on the S'C&C "Chicago Hot Dog Stand Tour" so lets take a trip to one today. Rotten Johnny's is somewhat new as in the last couple years it appeared at the corner of Ashland and Chicago in the space where an old concept hot dog shop used to be. When I first saw they moved in I decided to stop in and try a hot dog. I should get back but here's how it went. Like other real stands the menu here is limited to hot dogs and a few other things like burgers and chicken sandwiches. When I ordered a hot dog I was asked if I wanted it steamed or charred. It's always nice to have a place that offers them both ways. The same goes for the stands around town that use natural casing Vienna Beef wieners. The only problem was that they use the same NC dog for both versions. So while I liked my char dog, had I known they use the small NC dogs I would of just stuck to steamed. Still a nice option to have for those that are hungry and find themselves near there. They're open late on weekends. There's some great food stops in Chicago that seem to get little love on the internet. So today we head over to one. Located down a street where you wouldn't expect there to be any operating businesses left, Loncar's is a little jewel on the Southeast side. I'd driven by here a few times before stopping in but did so with the Grubseeker a couple months ago. The big red brick building without any windows and a big Old Style sign in front can be a little bit intimidating for some from the outside but it's a great friendly vibe inside. Fan's of the hit Showtime series "Shameless" will get a kick out of this. 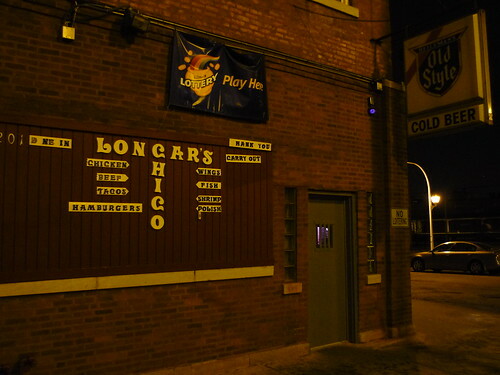 If there was a bar in Chicago I could picture a real life Frank Gallagher walking into, Loncar's would be it. They have all your drinking needs whether it be for there at the bar or to take home with you after a long day at the factory. They've been supplying drinks to the old hood since before prohibition. There's a great article from the Sun Times about Mr. Robert "Bobby" Loncar who spent half of his life manning the bar here. The street now has his name honored on it. 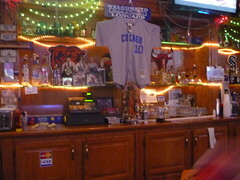 These days it's a popular place with locals for food, drink, chat and Chicago Cubs baseball. Yep a Cubs bar on the far southeast side. They seem to have a Kansas hoops connection too. Bobby's Croatian immigrant parents started Loncar's in 1924. Family lore has it that his mom Catherine ruled the bar with a meat cleaver by her side, throwing out members of Capone's gang when they'd try and capitalize on them during prohibition. Back in the day they brewed their own beer and wine upstairs. The homemade grappa is said to have put hair on many a man's chest from around here. At some point the 'hood Loncar's is in started becoming Mexican. Instead of shutting down shop and calling it a career they just adjusted to the times. Robert learned to make menudo for his loyal customers and made newbies to the neighborhood feel as welcome as anyone. These days it's been taken over by some long time customers who wanted to continue it's tradition. They're doing an excellent job. One of those traditions is their fried chicken. When you're walking into Loncar's its hard not to want some ASAP as it floods the streets with an amazing smell coming from the vents. They fry it fresh with a crispy heavy coating that I enjoy. It might not be the most highly seasoned bird but they carry the famous Hienie's Hot Sauce from around this way. 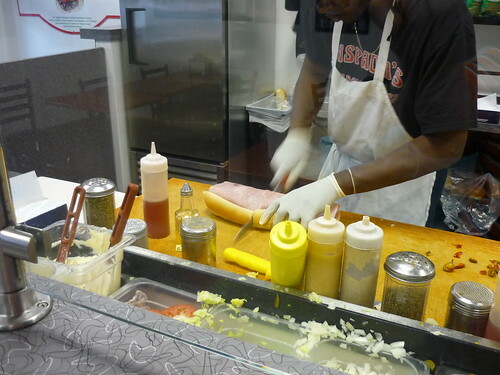 You can learn more about this popular southeast side condiment from Kevin Pang HERE. Drown the chicken in this and it's some of the best in the city. Quite addicting actually. As far as food goes all they have on the menu is that which can be fried. 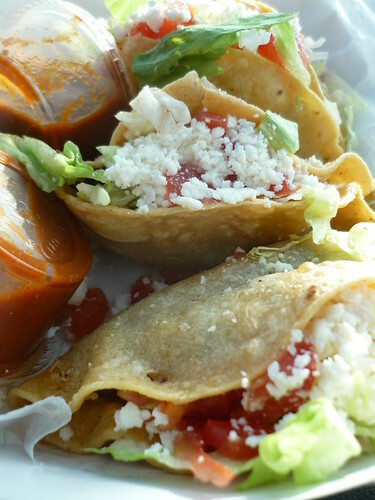 This includes my guiltiest of guilty pleasures, their fried tacos. Every Wednesday they offer this signature item for $1.50 each. They take chopped hamburger meat and throw it in a soft corn tortilla and then put a tooth pick thru to hold it together. They're dropped in the deep fryer and cooked thru til crispy, toppings go on after. You just know they're not healthy because they're so damn good. Any "best of" taco list in the city should include these gut bombs. Truly the perfect compliment to a bottle of Old Style. This place my friends is about as blue collar Chicago as you can get these days but be not afraid, the people who hang out here are great. Wednesday is Fried Taco Day! With lenten season all but here I thought I'd share this. 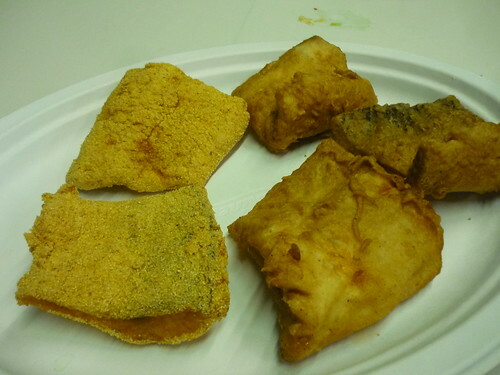 Those that have been thru there know Wisconsin is the land of Fish Fry's. I did up a classic Sconnie Style Fish Fry this past summer. It was authentic down to the point where it was a Friday night when it took place. While up in Bayfield (report coming) on vaca I just couldn't resist bringing back some dirt cheap freshly caught Lake Superior whitefish home with me. So I loaded up the cooler and brought back a bunch to celebrate my aunts bday. 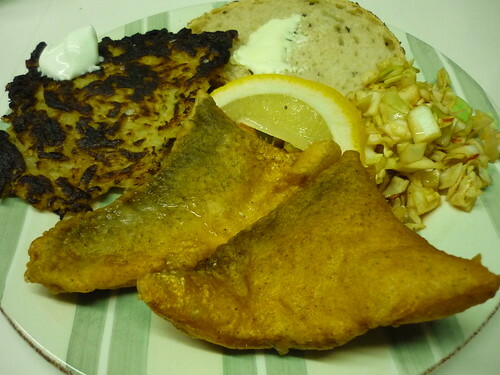 What's an "authentic" Wisconsin style fish fry? Well it should include some sort of fish native to the Great Lakes but often times that's not the case. Cod is common these days. It better include potato pancakes as well as cole slaw and a slice of rye topped with a generous glop of butter as your sides. Make sure you have an ice cold brew to compliment the food. There's no exact recipe for a fry but those things should be used. The batter and what fish you fry etc is your call. 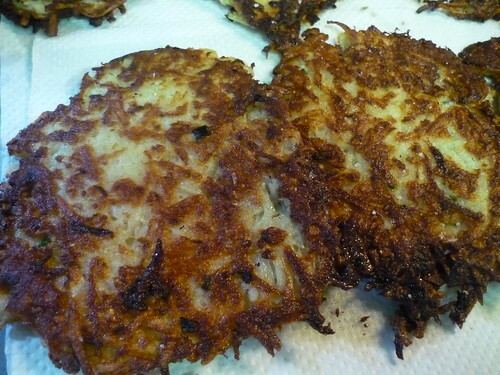 I used this recipe for the pancakes HERE and was more than pleased with the results. Everyone loved them, I remember thinking I made way too many but then there were none leftover. That's now my go to recipe when I want PP's. I used my turkey fryer for the fish which came out great. I decided to experiment a little bit with the batters used and did both a cornmeal crusted as well as beer battered. I preferred the cornmeal crusted whitefish but both were very good. Happy Fish Fryday. I was down in Florida for 12 days in December and got around while there. After some Cuban sandwiches and drinking in Tampa (report coming) we headed south. The rents have a place in Boynton Beach that my grandpa stayed at back in the day. So we were there a couple nights but you can only take so much country club living when you're not even 40 years old yet and have no interest in golf. We spent a few nights in Miami and then headed to Key West to live young. Here are some spots in South Florida I hit up. First off let me say we went to WPB one night for eat and drinks and the central square place or whatever it is was a freaking madhouse. It took almost an hour to get a spot in the garage and all the Lambo's and Bentley's are double parked by valet so you gotta squeeze thru them too. Away from the glitz and glamor is this great little place. Sheila is from the Bahamas and cooks like her mom used to. 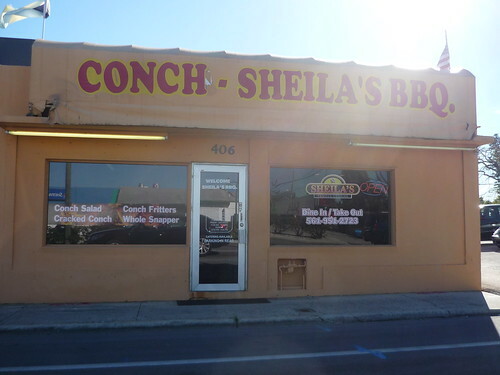 I didn't try the BBQ but her fried cracked conch is outstanding. Our first night in we needed to get over to Wal-Mart for a few things and I passed by this hopping Peruvian spot in the same shopping center. It was packed with people of all races and class and the drive thru was buzzing so I said why not. I almost walked out when I saw the horrible "professional" photos of each dish but I'm glad I didn't. 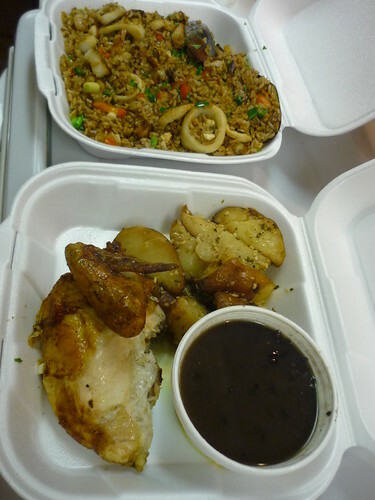 The spit roasted chicken was juicy and full of flavor and the seafood fried rice was fantastic. It turns out this is a local chain in South Florida and for a little while they had an outlet in Palatine of all places. Get the garlic potatoes as your side. First off, wow! Del Ray Beach is a whole lot different then when I was hanging there as a kid. Atlantic Avenue is a pretty hopping spot these days huh? 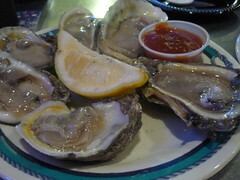 We enjoyed fresh oysters from City Oyster and drinks at a place whose names escapes me. Anyone who's been at a bar in a country club in Florida on NFL Sunday's knows theres tons of east coast transplants in South FLA. 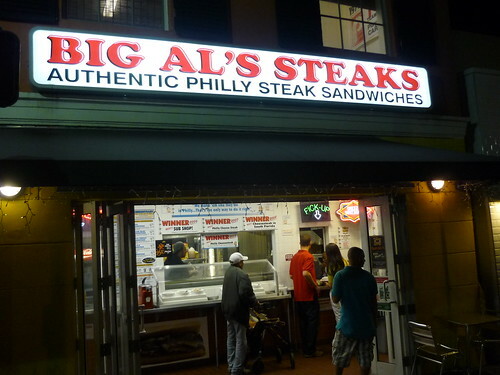 So theres a few cheese steak places and Big Al's was pretty good. Fresh thick sliced ribeye with good bread did the trick in the wee hours, it's open until 4a Thurs-Sat. 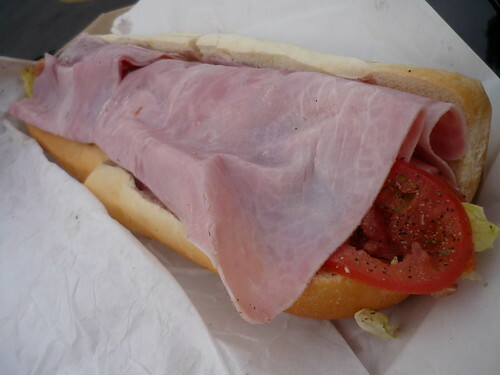 Better than Checkers and Miami Subs. Oh and the public beach here is still one of the best in state. 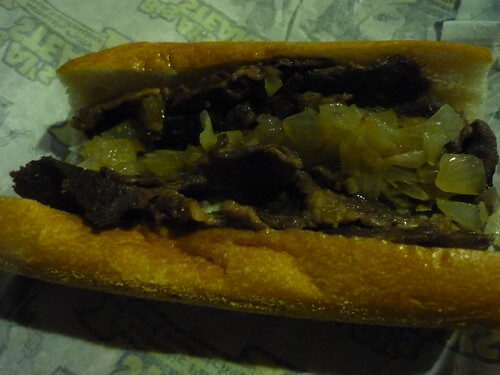 Speaking of subs or hoagies as they're called in PA here's another Pennsylvania transplant. By way of Chester this place is a popular sandwich shop with spots throughout South Florida. I stopped into one in Boca Raton and appreciated the fact the sandwich meat was sliced to order and as is key in the Sandwich state the seasoning and oils on this baby made for a required shower after eating. The large sandwich ($10) can feed four, I couldn't finish but half of mine. Some great east coast style hot cherry peppers too and I liked how they wrapped the meats, cheese and toppings with more meat. It all held together good. The big LOL of the food world came this past year came with NYT Pete Wells' review of Guy Fieri's monstrosity in Times Square. I dont doubt its bad but there's plenty of other celeb food folk who have done alot less for small mom and pop shops than Fieri he could of bashed. I dont watch DDD but I do find he's been to and brought attention to some great places I've been thru. Another example here. We came twice in four nights including our final meal the night before heading home. 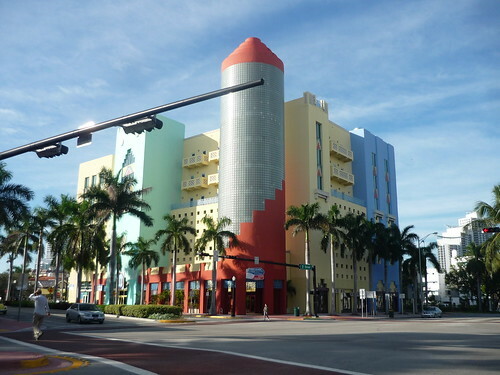 Deerfield Beach is another fun little town with some stuff going down when the sun does. The crowd here seemed to be a little more down to earth than WPM and Del Ray with alot of surfers and younger newly transplanted couples. 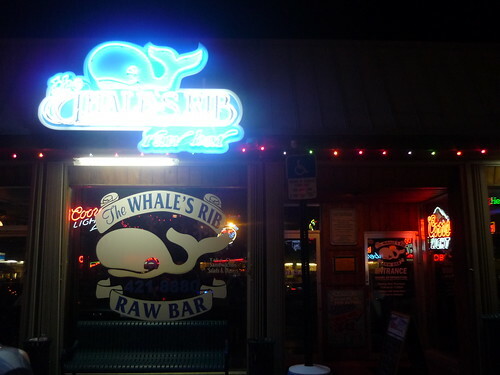 Whales Rib is a popular place to eat and drink for folks from all walks. They have lots of fresh seafood on special including those beautiful rock shrimp up above. 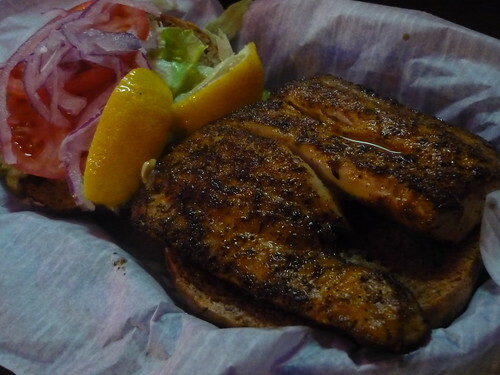 We got those both times and also their famous blackened dolphin (mahi mahi) sandwich. It comes on an amazingly soft bun and is as good of a fish sandwich I've ate. We rode up from South Beach to meet a friend of mine from college. He's from Boston and thus a big Patriots fan so we met up with him at his local watering hole on gameday that Sunday night. 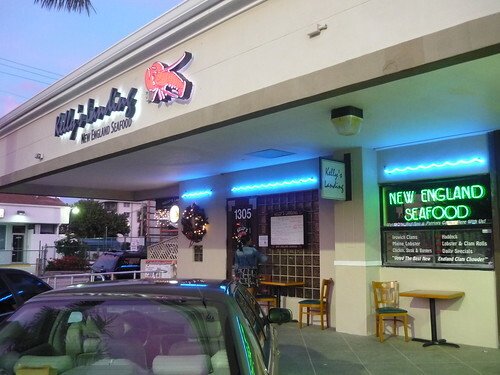 Kelly's is located in a strip mall but dont let that deter you. Alot of places down here are. It's got the vibe of what you'd picture a popular place to eat and drink in New England has. Hell even the waitress was from NE and had the thick accent to prove it. The place was hopping with older folks from the area that transplant down there for winter. 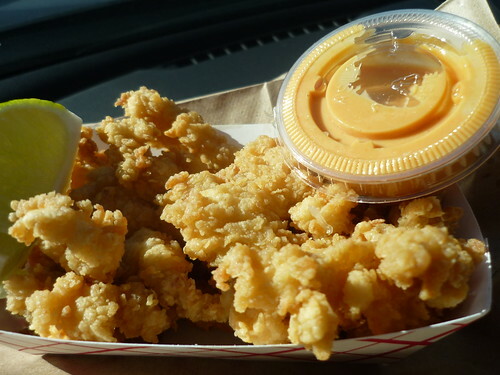 She went with the roll and I went with a favorite of mine you dont find everywhere, the fried clams. I got a bite of the roll which was good. The bun just ok but they didn't skimp on the meat and it was sweet. 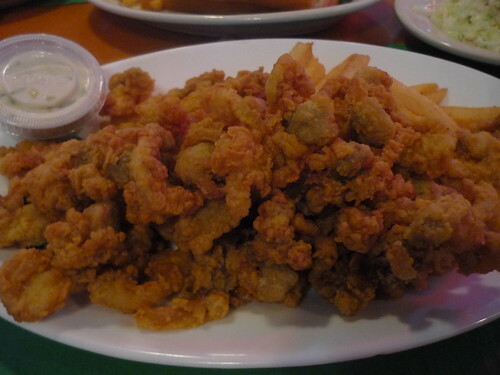 It had been forever since I had fried clams again after the first time I tried them at Woodman's in Essex, MA back in college. 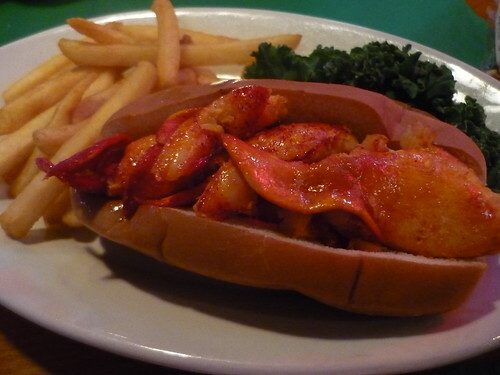 But with the opening of New England Seafood Company in Chicago I've been eating them alot more of late. These from Kelly's were comparable to theirs and cost a little less since they're just down the coast. 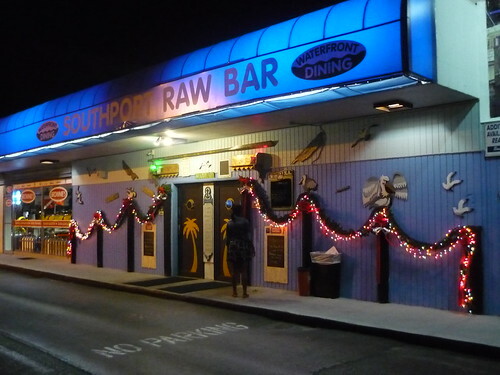 Located in the strip mall next to the strip mall where Kelly's is at is Southport Raw Bar. We stopped into here afterwards on my friends rec of it being the cheapest raw bar in the city and thus one of the freshest since they have constant traffic. 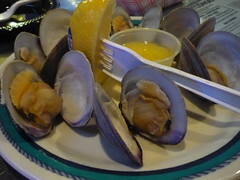 The oysters and steamed little necks were a nice dessert cap after dinner. Another spot which that Guy from Food Network has been too. I saw this episode randomly and wanted to check it out. 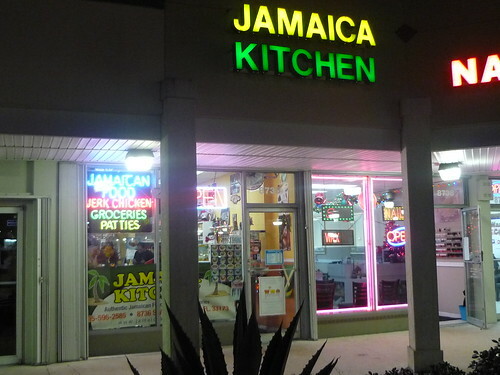 This is a Jamaican Chinese restaurant. ICYDK Jamaica has a decent Chinese population and the owners of this places parents went to Jamaica from China. So the owners are Chinese but born and raised in the Jamrock. They speak in a patois slang and it's just kind of funny at first, especially if not expecting it. Like the Southern slang used by the people with Chinese ancestors in the Mississippi Delta. I tried the extra spicy beef patty and the heat was real. 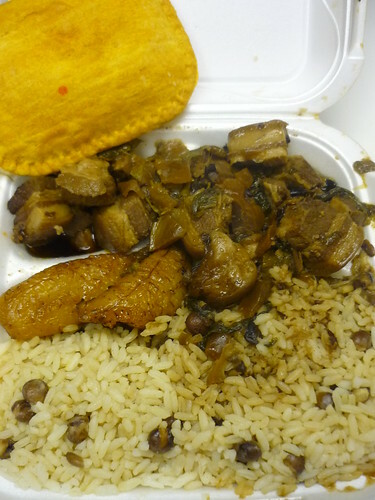 Also one of their signature Jamaican/Chinese eats the pork belly and ham choy. Excellent. Another place I've seen on TV (No Reservations) and was told by a friend to go to. 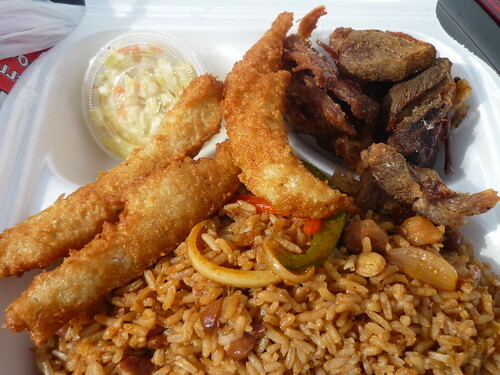 This is Haitian Cuisine. 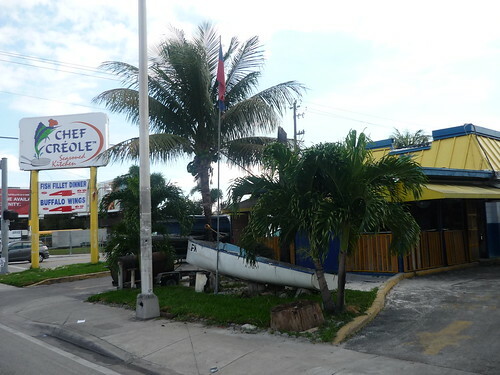 There are several Chef Creole locations in Miami as the owner has built a name brand for himself but the original seafood takeout in the Little Haiti neighborhood is best. It feels like a seafood shack in the Caribbean. While it is takeout they do have a shaded outdoor area with tables and chairs to sit down and eat at. 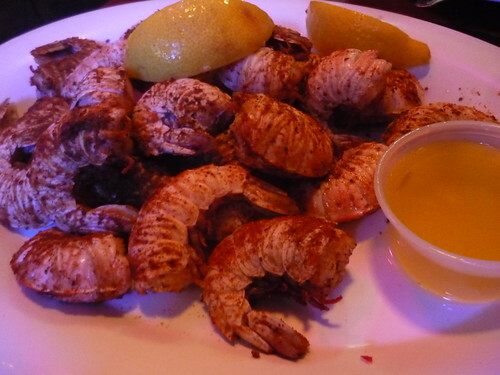 We went with the whole fried fresh snapper and their famous seasoned shrimp. This picture was taken before I dumped my cup of sauce and fresh sliced onions and pikliz, a hot Haitian relish, on it. So it may look plain from here but with all that added on it was pretty heavenly and "hella" fresh man. Their shrimp and its seasoned batter was even better. I think I paid a little over $20 for all that and the people working the place were great. The man himself, Chef Creole was there making sure we were happy. I'll be back when I return. 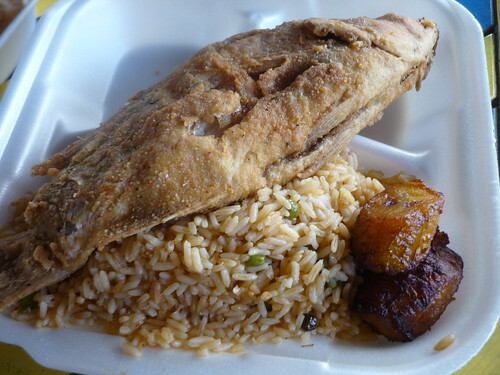 Not far from Chef Creole is Fritay. I said "what the hey" and decided to try this place too. It's indoors but they one table. From behind the glass they have a steam table of whats on their small menu. 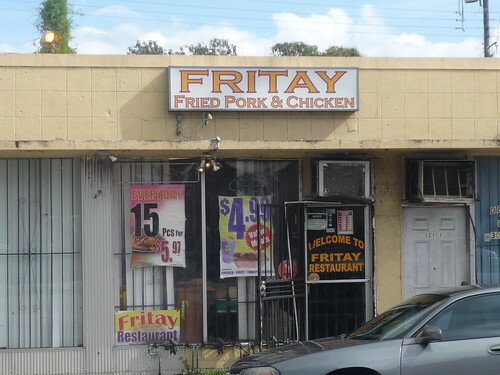 Fritay means fried and their fried chicken was named best in Miami by the Miami New Times. I guess that was before Yardbird, it was ok. The fried pork was ok too but the fried acre and sides with them were great. the acre tasted like potato pancakes to me. This place too was super cheap and they sold their pikliz by the bottle so I got a few of those to go home with. 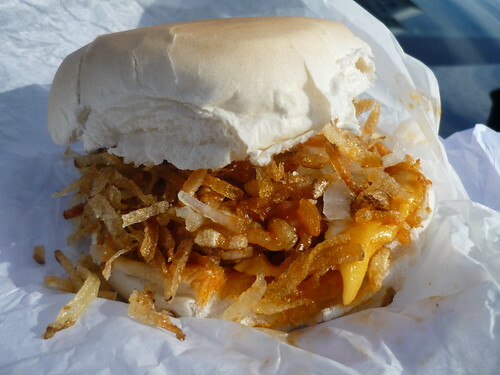 Long on my radar I've actually never had a frita cubana in Florida. I've made them but now can come to understand that just like a good Cuban sandwich, you need a certain type of bread for these. This place is a popular pick for many including the President. 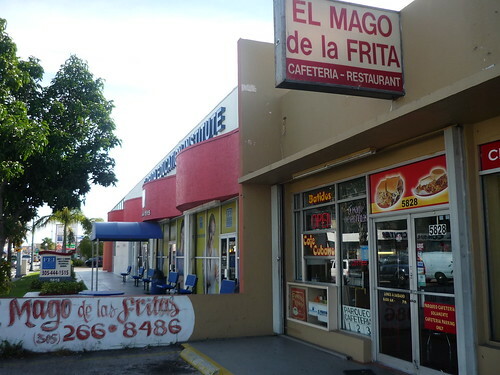 Mago himself was there and he made my frita which is a Cuban take on the hamburger. It comes with a seasoned beef/pork blended patty with shoestring potatoes and onions added on in between some really good bread. I loved it. Well after three days (with a GF) in South Beach, I was about ready to leave. It's like Vegas in that it's fun for a a little bit but that's all you need. There's all sorts of people trying to get you to come in to their happy hour deals which they say is 2 for 1 but that's by the round. So you end up paying $32 for four super sweet drinks. 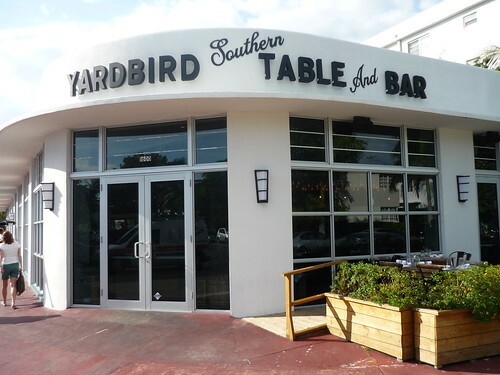 The crafted cocktail scene hasn't really hit South Beach but Yardbird is the exception. Its not up to the levels of Violet Hour, Barrelhouse etc... but they mix some good drinks and at $11 you're paying that everywhere around here. Might as well be good. Anything with peach and bourbon is good by me so I was sipping down on a concoction with those on both visits. I had camera problems as mine jammed while down here and I didn't get it fixed until the last night when I played rough with it. 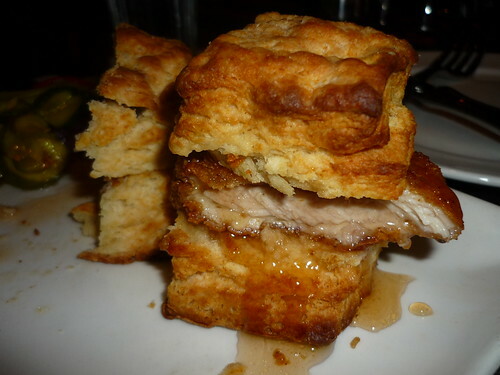 But we ordered the chicken biscuits drizzled in honey twice because they were as good as hyped. 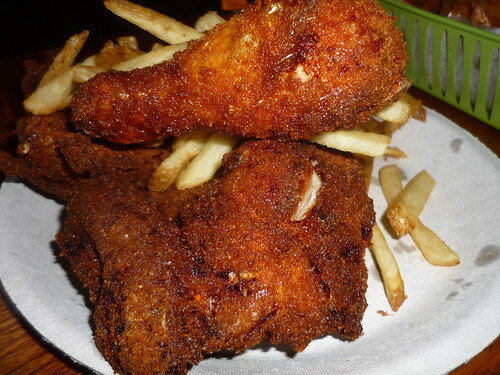 The fried chicken here is also really good and that talk has got them a location coming in NYC. What about Chicago?!?!?! 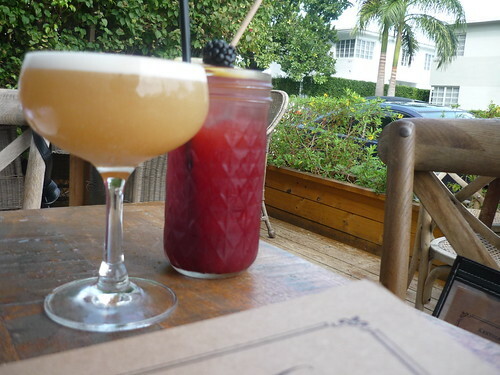 To explore some eats even further south in Homestead and down into the Keys CLICK HERE. Better go walk some of this off...See y'all next time.